Looking for a filler before Thanksgiving? This activity is perfect! 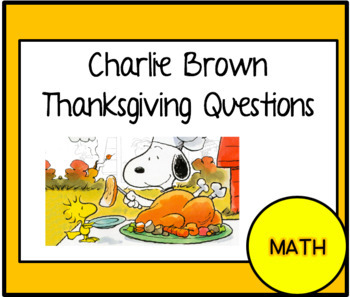 The students can watch the Charlie Brown Thanksgiving movie and after answer questions about the movie. 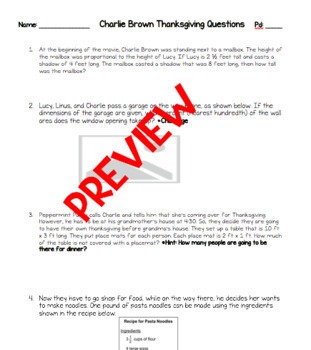 (Students do not need to watch the movie to answer the questions). This aligned to 7th grade common core. Enjoy!